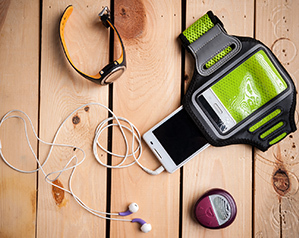 From workouts by the beach to wearable fitness technology, there have been plenty of changes and trends that have occurred within the fitness industry since Onfit’s inception in 2008. Our Education Manager, Jeff, explores some of the ways the fitness industry has changed over the last 10 years and makes some predictions to where it might go next. In 2008 the fitness industry was very much alive and well. There were over 2,500 recognised fitness centres in Australia, with large organisations such as Fitness First, Goodlife and Virgin Active being challenged by the emergence (and rapid growth) of what we now call the 24/7 chains -Jetts, Snap and Anytime Fitness. A survey of the top 10 worldwide fitness trends in 2008 showed that the number one trend that gym owners, patrons and the public were seeking was educated and experienced fitness professionals – which coincided with the perfect time to introduce Onfit Training College to the market. 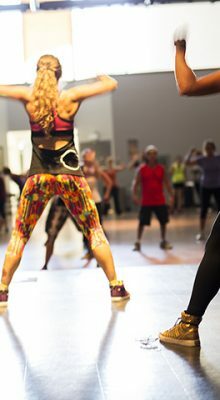 2009 and 2010 saw a shift away from ‘traditional’ brick and mortar style fitness centres, as boot camp-style workouts, fitness boxing and specialty classes such as Zumba, Bollywood, Afro-Cuban, and ballroom dancing grew in popularity – encouraging more people to become involved in physical activity, but in a slightly different way. During this time, we saw more fitness professionals seeking education and training opportunities to deliver these newer types of programs, while still maintaining their traditional gym instruction and personal training skill sets. This period saw personal training to increase significantly in popularity (and continues to be up until this day). It was less for the rich and famous, and more for the everyday gym user, and as a result many gyms and fitness centres moved away from having ‘floor-based’ gym instructors to service their clients, instead opting for personal trainer licensee’s. 2011 to 2013 continued to see the fitness industry move forward in leaps and bounds, with the number of different programs and physical activity opportunities almost doubling since 2008 (there were 1000 more fitness centres/gyms than in 2008). It was during this time that the age demographic of those involved in physical activity began to broaden quite dramatically, with a large focus on providing fitness programs for both older adults and children. With obesity at epidemic levels for both children and adults in Australia, more families were looking for programs to help them lose weight and maintain a healthy lifestyle. It was around this same time that people started to investigate what else they could change to become a healthier version of themselves, and trends like intermittent fasting, low carbohydrate and gluten-free diets became popular to follow (and continue to be up until this day). The first examples of successful wearable technology were also starting to hit the market at this time, giving people an insight into information about their health and fitness that was previously unobtainable. 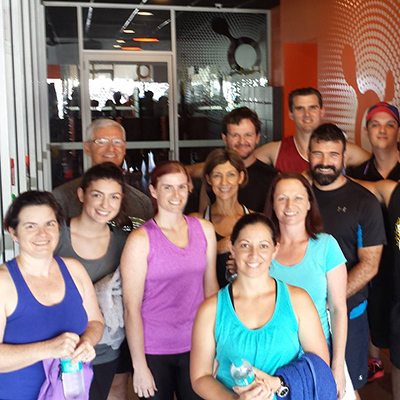 2013 to 2016 was the start of the functional fitness craze in Australia. Primal, body-weight training, movement-based, whatever you want to call it, functional fitness was at the forefront during this time. With the functional fitness movement becoming increasingly popular, traditional gym equipment was still being used, but was now sharing space with innovative equipment such as kettlebells, battle ropes, suspension trainers and many other unique tools that could be used as a part of an exercise program. This period also introduced Australia to a new type of ‘fitness centre’, one that was determined to capture the atmosphere of large group-training while incorporating high intensity strength and aerobic based exercises – all in short, pre-determined and repeatable workouts. This period also introduced Australia to a new type of ‘fitness centre’, one that was determined to capture the atmosphere of large group-training while incorporating high intensity strength and aerobic based exercises – all in short, pre-determined and repeatable workouts. The result was the rapid rise of centres such as F45 and Orangetheory Fitness, making it convenient for anyone to attend and complete fitness classes, regardless of how much or little time they had available. 2016 to Today has seen nearly every one of the trends from the last 10 years continue to grow and develop. Gym instruction and personal training is as popular as ever, with more and more clients looking to engage with a trainer who is highly educated and experienced. Trends such as cross fit and functional training continue to be attractive to people who don’t want to join a traditional fitness centre, and the 24/7 gym chains are still growing as they provide a great alternative for people not able to fit into a ‘regular’ visiting schedule. Fitness trackers and apps have evolved as well. From starting as a basic pedometer, fitness trackers can now give a user instant information about their heart rate, heart rate variability, sleep and stress levels as well as many other health and fitness related metrics. Bigger, better (and even smarter) gym equipment is being developed each and every day, and you only need to visit a fitness expo such as IHRSA or FILEX to see the what the next evolution of equipment will be. 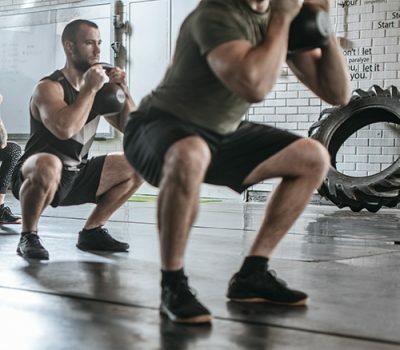 Moving Forward many fitness professionals are now looking to see what the ‘next’ big trend is going to be, and how they can ensure that they evolve their own training styles and approaches to be ready for when this occurs. Along with traditional health and fitness activities, client wellness looks to be a key focus for the future. The World Health Organisation has defined wellness as “a state of complete physical, mental, and social well-being, and not merely the absence of disease or infirmity” and this will be reflected in what clients will be seeking from their health and fitness professional. Dynamic injury rehabilitation, functional movement and the provision of wellness interventions will be a big part of 2019 and beyond, and I look forward to seeing what the next 10 years brings to not only Onfit, but the fitness industry as a whole. 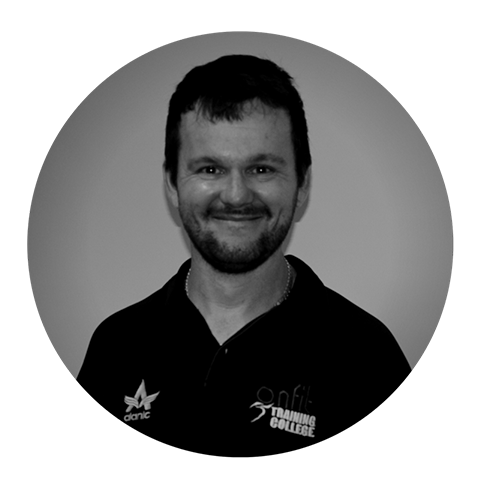 Written by Jeff Cook, Education Manager, in celebration of Onfit’s 10th Birthday and Jeff’s 10 year anniversary at Onfit.